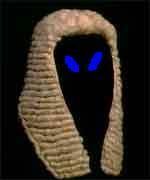 I am a barrister in England with an interest in various issues relating to "UFO" reports. I've signed up to this forum due to some posts on here about the Rendlesham incident. I use a pseudonym as I have no desire for colleagues or clients to know of my involvement (however slight) in matters relating to ufo reports. I generally post any input I have on issues relating to ufo reports to one of several discussion Lists not open to members of the public, on the UFO Updates email discussion List, or the AboveTopSecret.com forum. When introducing myself, I'd generally post two or three links to material I've posted elsewhere. However, I gather from the post at the top of this forum that posting links in the introductory post is rather frowned upon - but anyone that is that bothered can do a Google search for, say, "Massive UFO disclosure in USA : A challenge for ATS", "Canadian disclosure: “UFO Found” and other documents/photos" or "Debunked! The FBI alien bodies memo – A case study in the reinvention of the wheel". Feel free to post links in any of topics of interest to you as well as start a new topic if any of the current ones don't fit the bill. Thank you for the welcome to the forum NinjaPuppy.